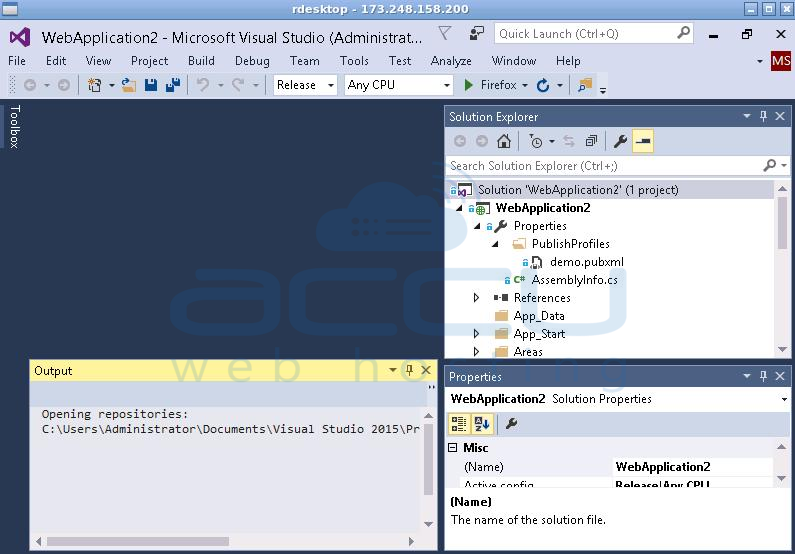 How to Deploy Visual Studio 2015 Web Application Using Web Deploy Method? 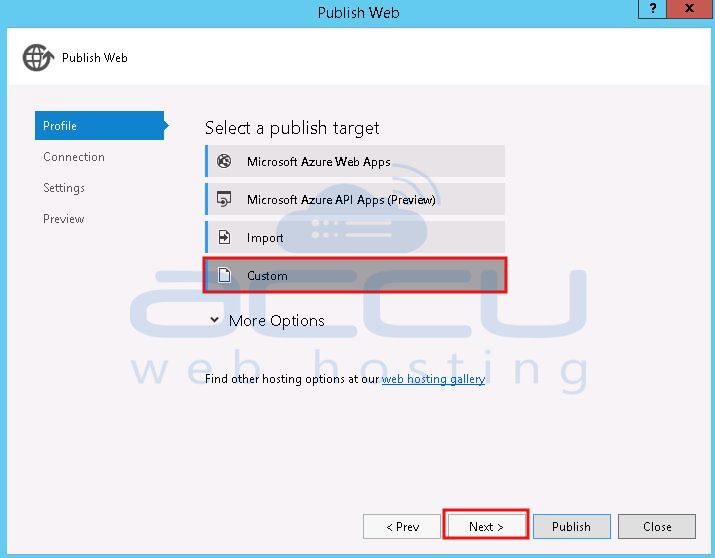 Follow below instructions to get started with publishing your Visual Studio 2015 Web Application to server via Web Deploy method. 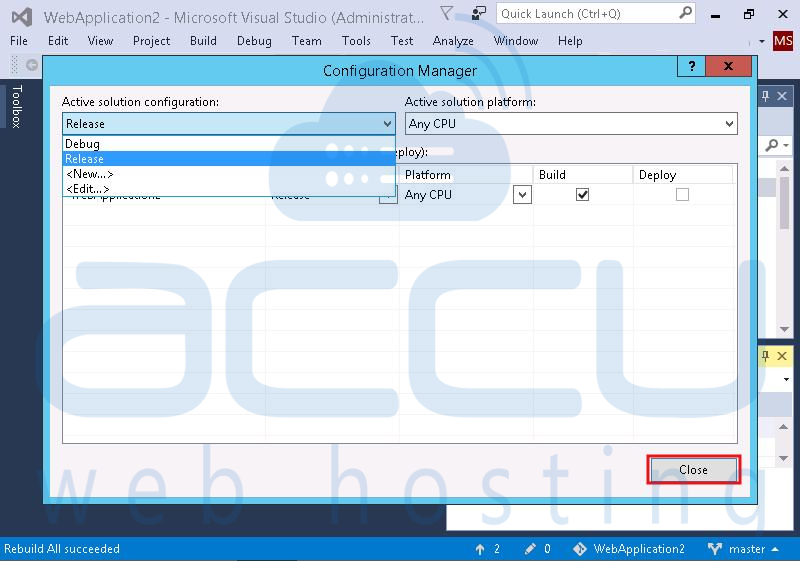 Launch Visual Studio 2015 and open your web application. Now, we will change the configuration setting of web application to release mode. 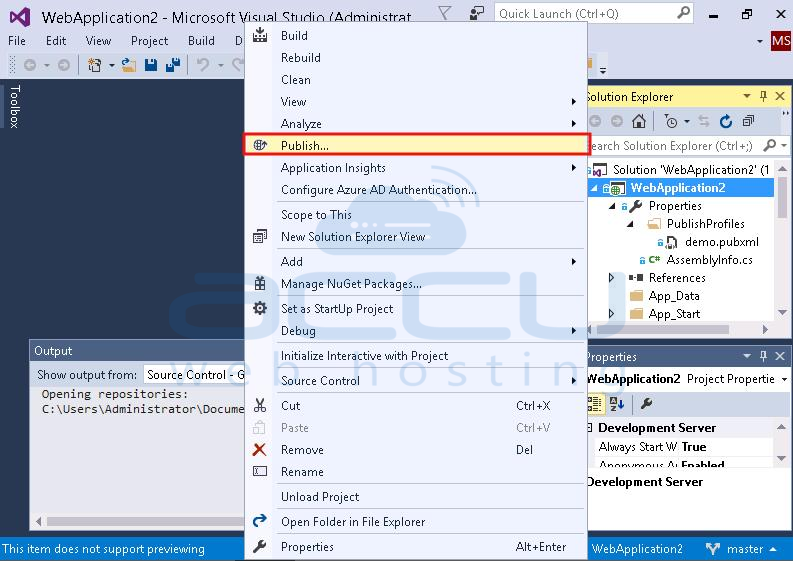 Visual Studio offers separate release and debug configuration options for applications. The debug configuration is compiled with full symbolic debug information with no optimization, whereas release configuration does not have symbolic debug information and is fully optimized. A Debug configuration supports the debugging of applications and a Release configuration builds a version of the web application which is ready to be deployed on server. To set your application on Release mode, follow the below step. 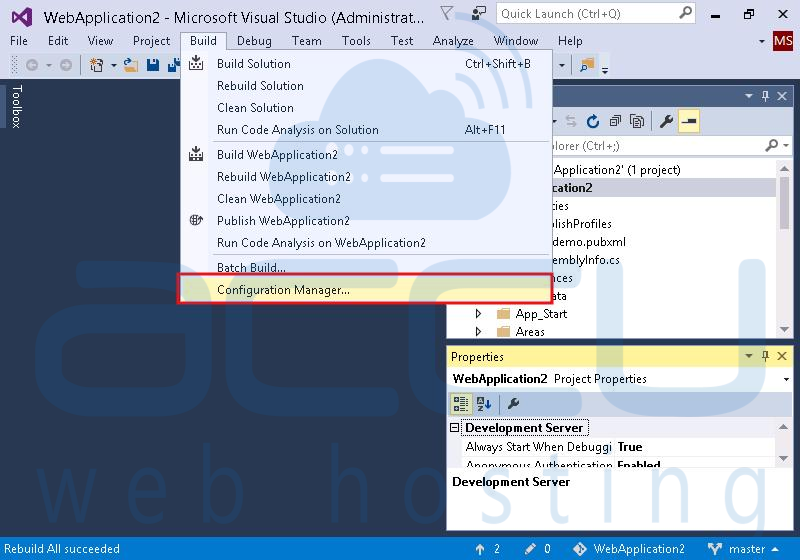 Click on Build menu and then Configuration Manager. At Configuration Manager dialog box, select Release option from Active Solution Configuration drop down then Close the dialog box. To deploy your web application, select your web application from Solution Exporer. Right click on web application name and then click on Publish option. You will also see Publish option under Build navigation menu. On the next screen, select Publish Target as Custom. Give your desired name to new custom profile. On the Publish Web dialog box, specify following details. 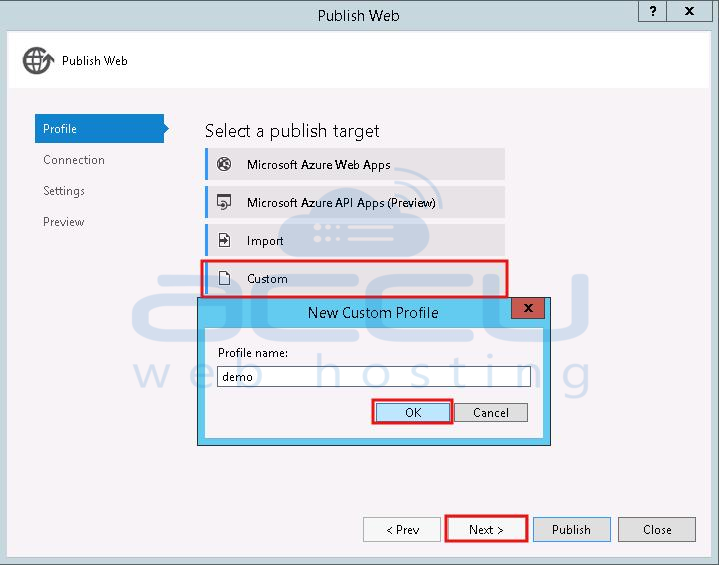 Select Publish method to Web Deploy from the drop down. As per following web hosting type, you need to specify the web deploy service URL under Server field. Under Site name option, specify name of your website. Under Username option, specify the username who has necessary permissions (IIS Manager Permissions) on the web server for web deployment. Specify the Password of that username. If you want to save your credentials for future use, check the Save password checkbox. Under Destination URL, specify the Fully Qualified Domain Name (FQDN) of your website. Once necessary details are specified, click on Validate Connection button to verify the connection. Check Allow Untrusted Certificate checkbox when it prompts. You will see green tick mark, if the connection could be established successfully. 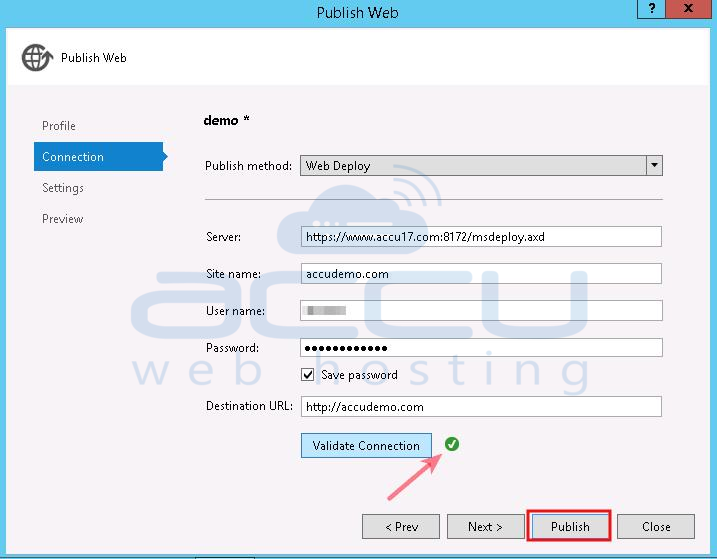 Click on Publish button to start deploying your web application to the server. Why does the subject prefix SPAM-LOW appear in each email I receive? How do I Switch to Managed WordPress Hosting from Existing Shared Hosting Plan?